We hope you’ve been able to introduce yourself in the group forum and are ready with your pattern, materials, and measurements. It’s great to read your introductions and chats–keep them coming! We had fun following you back and checking out your social media feeds. Some of you’ve done some pretty sweet yarn bombing. 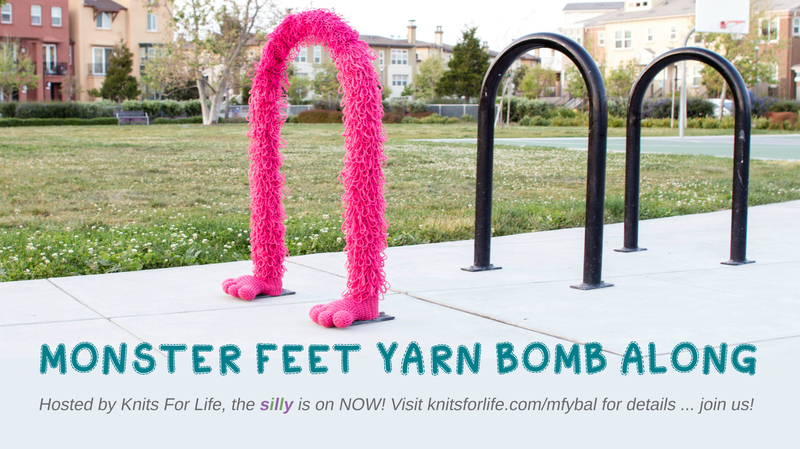 Remember, you can do everything in this yarn-bomb-along at your own pace. Simply follow along with the weekly posts as you come to the next step (linked at the top and bottom of every week’s page for reference). 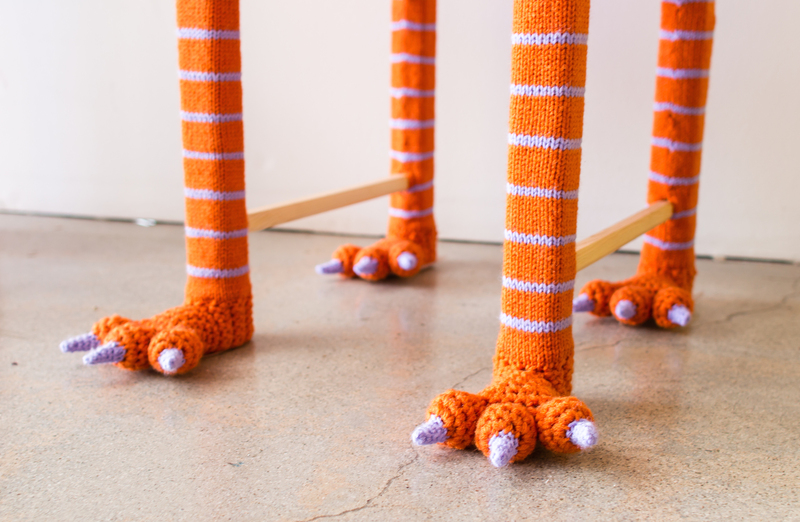 If you are ready to start the pattern but aren’t quite sure where you’ll put your monster feet yet, you can still crochet the toes this week. Next week we will use the measurements. Beginners, did you get a chance to brush up on your skills? 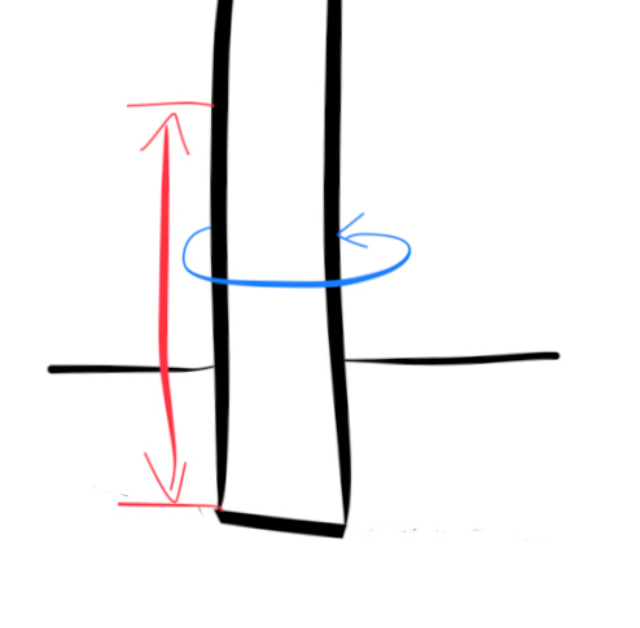 We posted a thread in the group forum for beginners’ resources. Feel free to check out the resources there and post anything else you find useful. 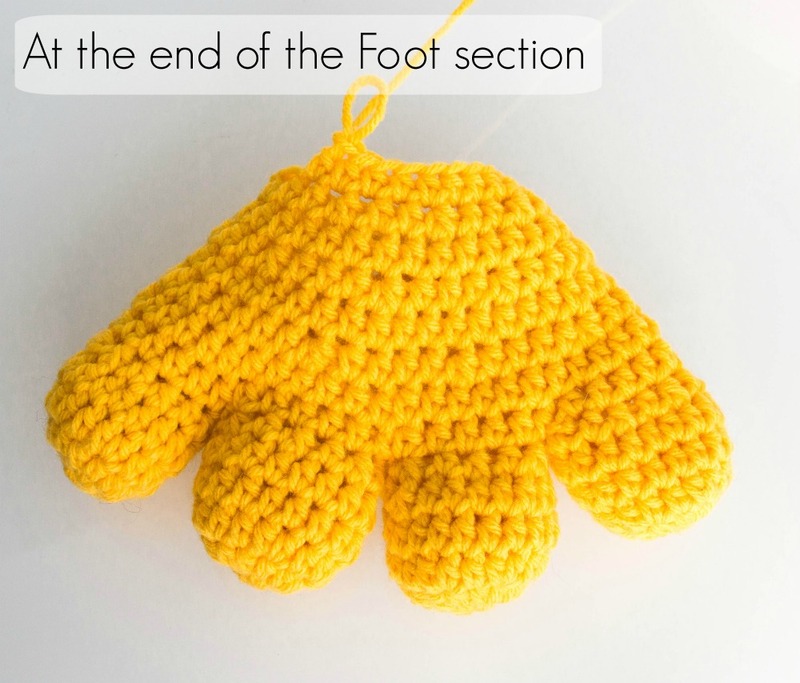 Since the monster feet pattern is for advanced beginners, we’ll jump right into it this week and assume you know the basics of crochet. It’s always a good idea to read through a pattern from the beginning. At the very least, be sure to read over the stitches and techniques used. Check that you’re familiar with the standard US terms and abbreviations we’re using at the end of the pattern. 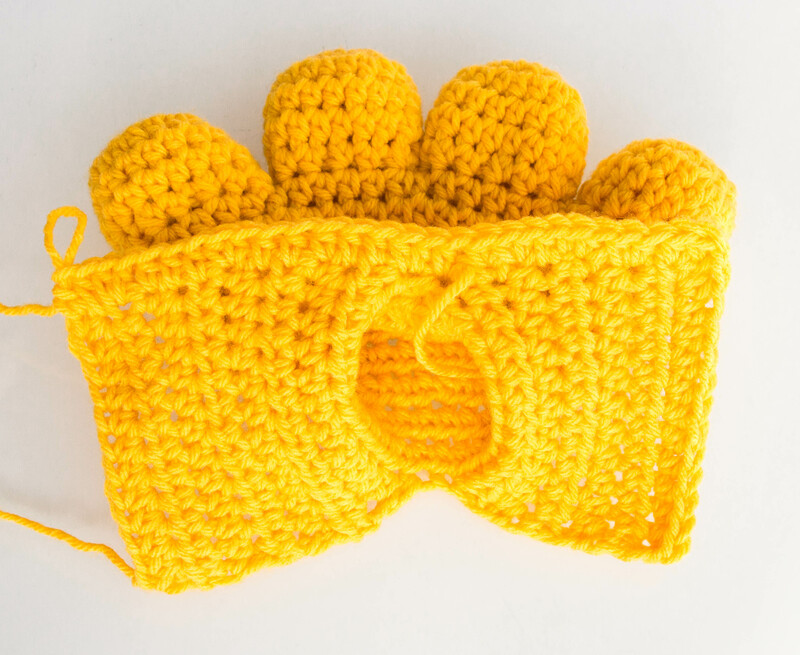 As we work through the toes in our video below, we’ll show you how to half double crochet (hdc), then how to increase (inc) and decrease (dec) using hdc. Remember to use the internet! Anytime you need help with a term, search YouTube with the term plus the word crochet and look for a video that works for you. Or, post your question in the forum and we’ll help you out. Each toe is a partial sphere that’s crocheted in the round as a spiral. 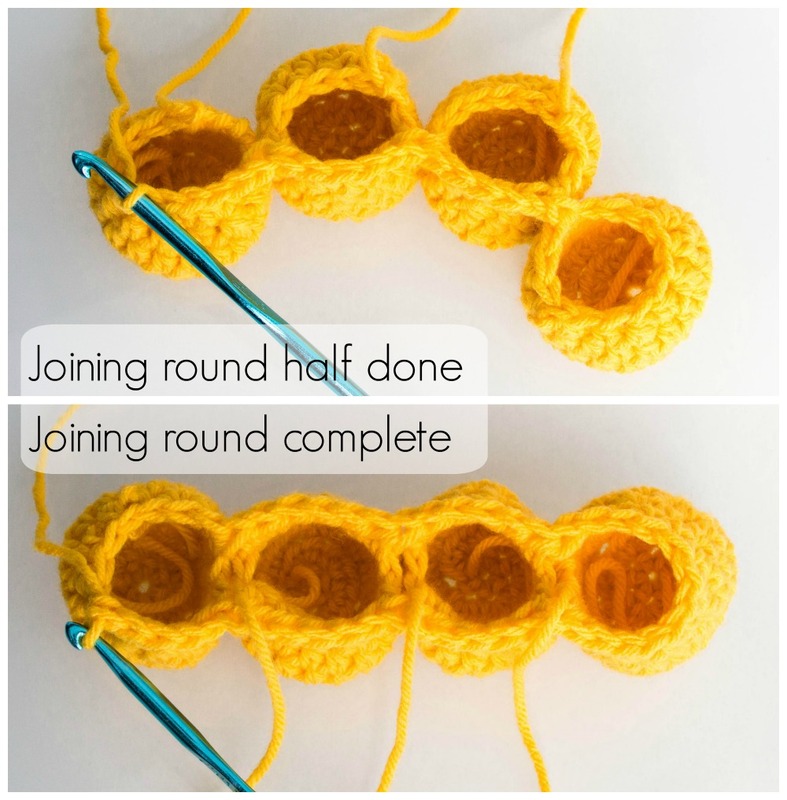 You can find many ways to begin crocheting in the round and a million tutorials on YouTube. We like to start crocheting in the round with a magic ring (also called a magic loop, magic circle, adjustable loop). Use your preferred method; the important thing is to use a method that creates a tight ring so there’s no hole where stuffing can poke out. Here is a simple magic ring photo-tutorial Jill made for her favorite way to do it. Once you’ve got your magic ring, follow along with this week’s video tutorial below. 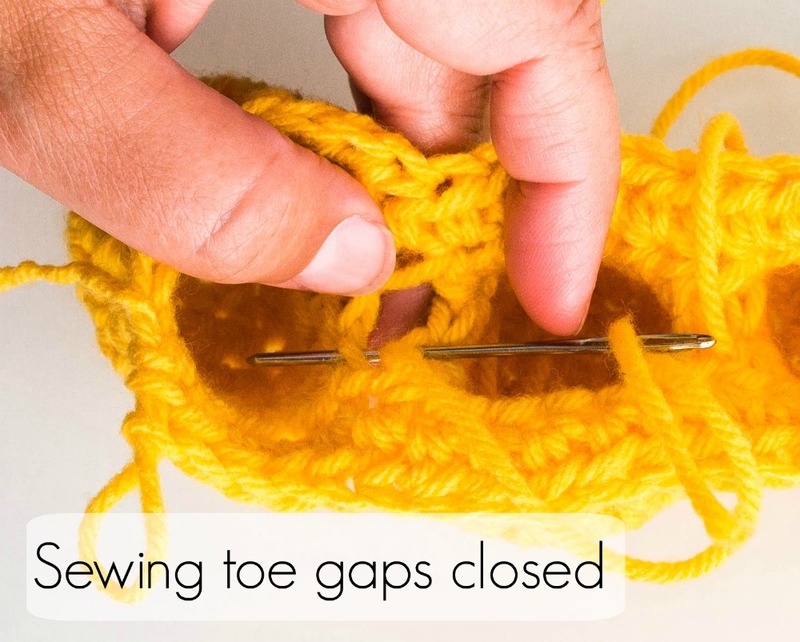 After a short recap of week 1, we crochet a toe together, explaining all the stitches involved along with a few pointers. Both newbies and experts can sit back and make a toe along with us. Remember to post your projects and questions in the forum and online using #MFYBAL. We’d love to hear, why do you like to yarn bomb? If this is your first one, what made you interested? Come see our latest yarn bomb installation and watch us demo our one of our vintage analog knitting machines at a fun block party in San Francisco with free live music, food trucks, beer gardens and other family-friendly activities. We’ll be at Commons on Thursdays on September 21, 5p-9p. 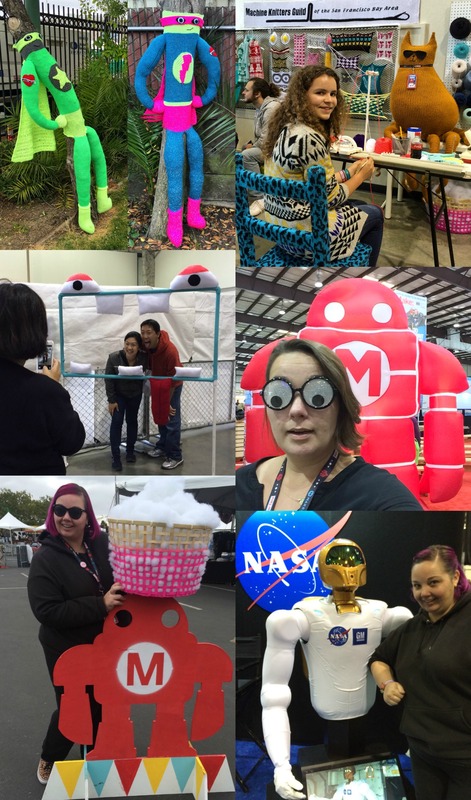 We’ll be at Maker Faire again this year with our Machine Knit Street Art exhibit. 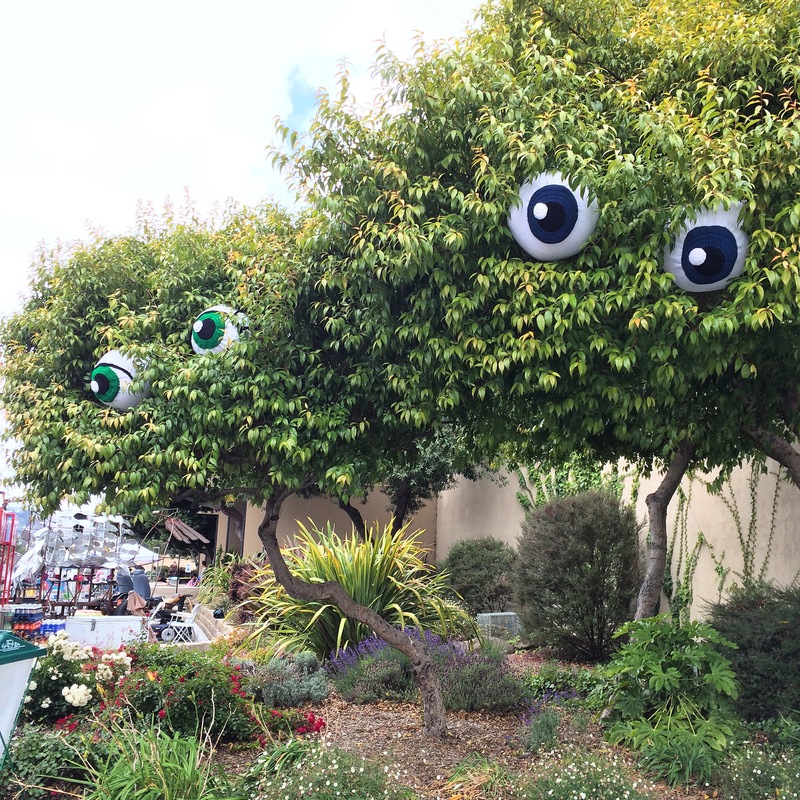 Two pairs of hand made eyeballs will transform trees into bushy monsters spying down on all the fun you’re having at the Greatest Show and Tell on Earth! 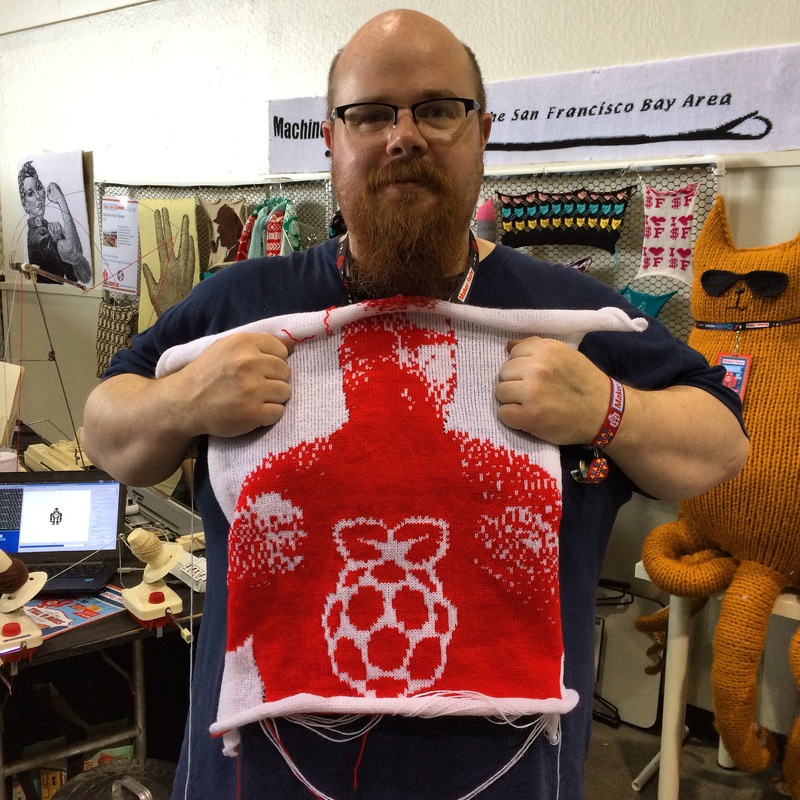 The Machine Knitting booth will also be there again, where you can meet our intern, Magine, and learn about the local groups that teach machine knitting. This is where we learned everything we know–there couldn’t be a better place to learn about machine knitting. 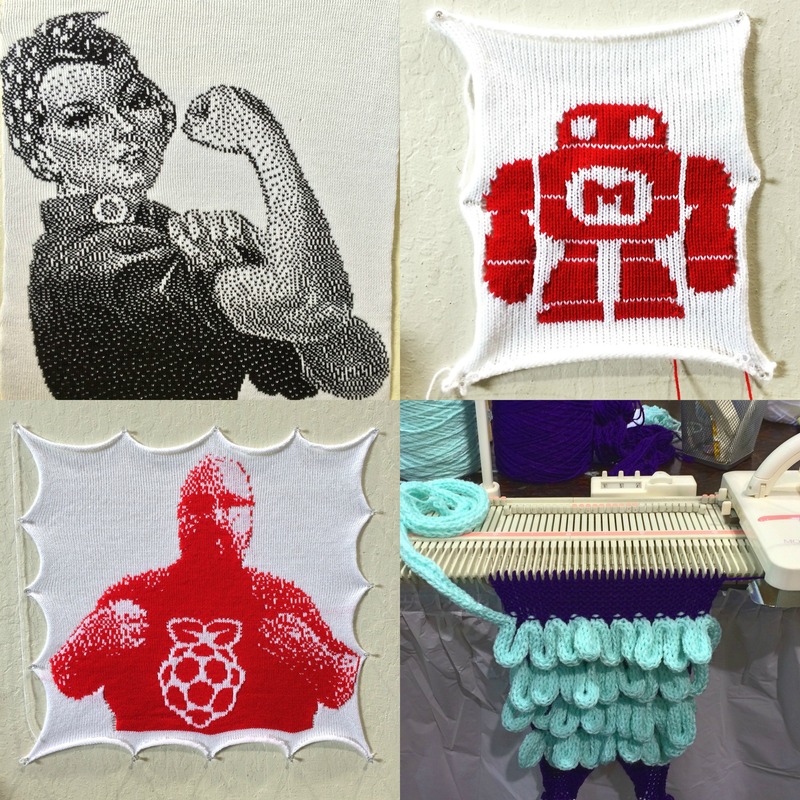 Adrienne, our local Meetup host, will show off several machines with a variety of capabilities, including one that has been hacked with an Arduino microcomputer to turn photos into knitting. Check out some of the photos from previous years. Tweet at us @knitsforlife when you’ll be there and maybe we can meet up! The question we most commonly got about our Buttmunches, the yarn bombed monster benches we did at San Francisco’s Ferry Building, was: Can I have one? So we said yes! 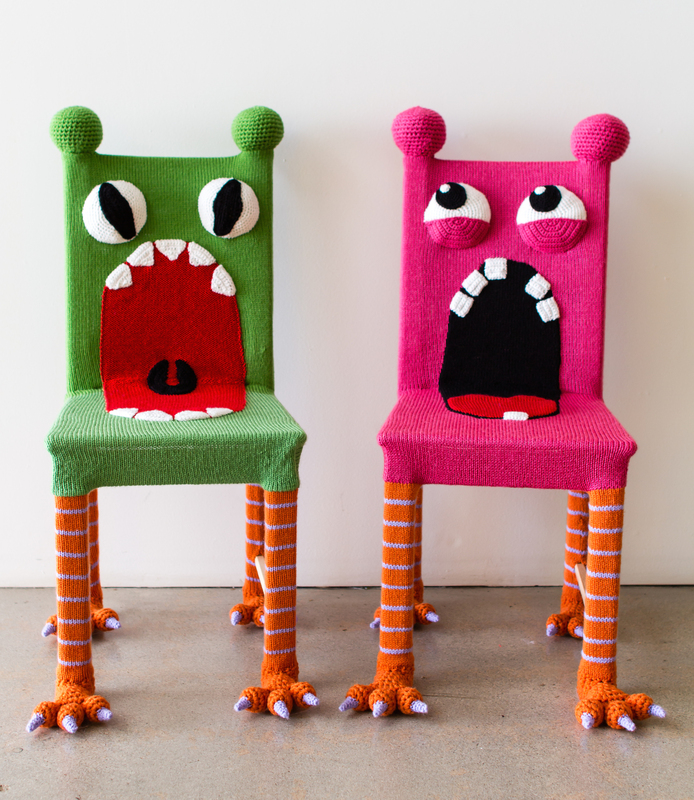 Each meticulously handmade Buttmunch chair exhibited at Unleashed Art Gallery over the summer. The green chair is still available in the shop here. Contact us for a viewing at Claremont Art Studios or to discuss your idea for custom kids furniture or whimsical decor.